I became involved with the Elks during my senior year of high school. I realized how much the Elks were doing for our school, from providing dinners for students with academic excellence, to hosting the Elks Teenager of the Month (and Year) awards. I volunteered at a few dinners and lunch events earlier that year, and was selected as an MVS recipient later that spring. That summer, I served my first year as a Scholar Advisory Board member, which opened my eyes even more to opportunities the Elks provide across the country. 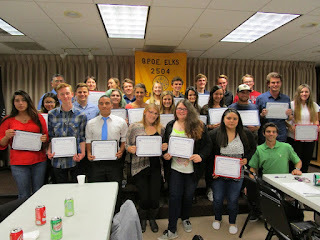 Naturally, when I joined the Elks, I was drawn towards helping with the scholarships. We also have a great Youth Activities Chair, Kristi Dupler, who’s been a great mentor. Back in college, I took a few other Elks scholars from my campus to various Lodge events to keep them connected with the Elks. We also did community activities, like visiting local senior homes to play cards and hang out with senior citizens. I knew it was a way to give back to the Order, which was supporting us during college with ENF and Lodge scholarships. We even made t-shirts that said “Cal Poly Elks Scholars” which we wore when we volunteered at these activities. I think the most important thing Elks can do after supporting an Elks scholar going off to college is to continue to remain involved with that scholar during their college years. 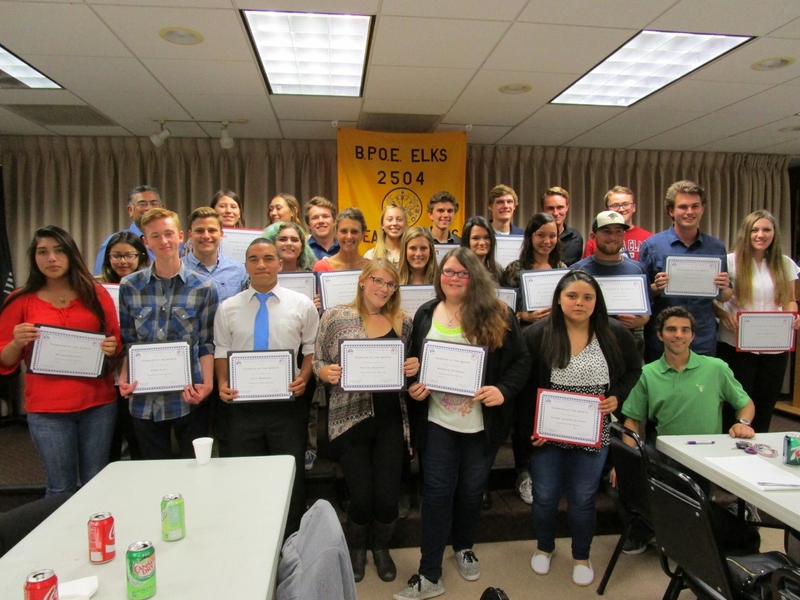 One great program is the Elks Scholar Speaker Program, which invites Elks scholars back to their Lodges during academic breaks to speak to the Lodge over a dinner and share their experiences. It helps the scholars to continue to remember the Order and reinforces a desire to give back and share their story even after they graduate from college. My number one piece of advice for younger scholars looking to join the Elks is to think about joining with a friend. That way, there’s at least one person you know when you attend an event and it might make “breaking the ice” and meeting new people a bit easier. Also, getting involved in a specific committee, such as scholarships, or veterans, can help to keep you involved in several Lodge activities throughout the year. The B.P.O.E. is truly a family filled with amazing and giving individuals. I don’t think any other organization presents the same amount of support through volunteer efforts geared towards a large variety of groups - from youth to veterans, law enforcement and even just the general public. Lodges provide an opportunity to meet someone new each day and share stories and experiences with one another. I look forward to contributing towards the warm culture at my home Lodge in the work I perform as Scholarship Chair and through our annual events. The term “Benevolence”, synonymous with “kindness”, “charity” and “goodwill” is 100 percent at the core of the organization and every activity put on by the more than 1,900 Lodges across the country.